Tired of tuna salad? 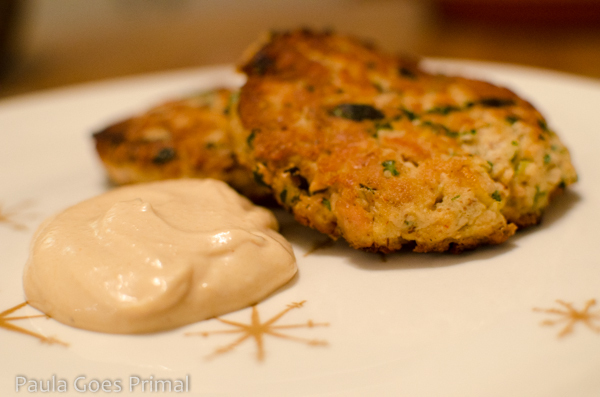 These deliciously easy tuna patties are a great alternative. They can even be frozen for a quick meal on busier days. Tuna patties are like comfort food for me. I don’t think we ate them often when I was younger, but I do remember that I really liked them, dipped in some ketchup! 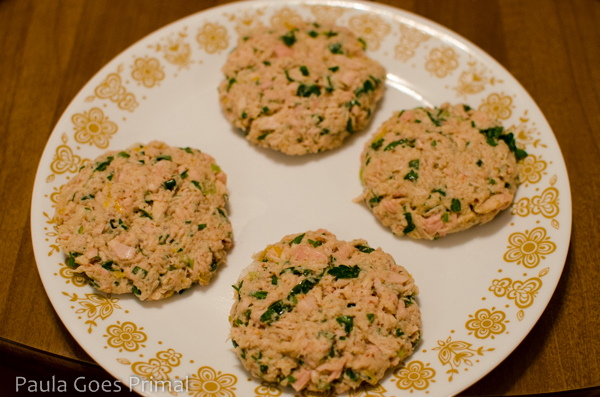 Traditional tuna patties are made with breadcrumbs or torn up white bread to hold the patties together. Since I try to cut out bread even when I’m not doing a Whole30, I use almond meal often in place of breadcrumbs, and the results are pretty good (although tuna patties in general are a bit delicate). I adapted this tuna patty recipe from Simply Recipes to make it Whole30 compliant. It turned out beautifully and I’m super excited that I have a new way to eat tuna! 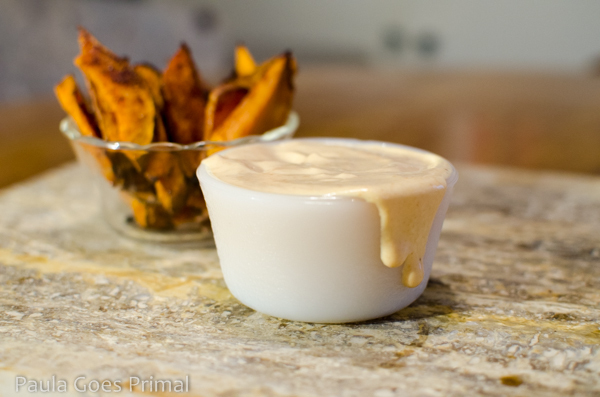 The patties are especially good dipped in my Whole30 Fry Sauce, so if you’re a dipper like me, I highly recommend it! Now, a quick word about tuna. 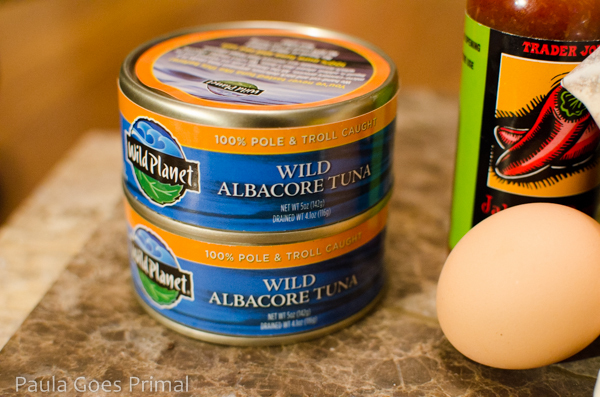 You can definitely use whatever tuna you prefer, but I highly suggest purchasing some wild caught, sustainably sourced tuna like Wild Planet (I get it from Costco). Not only is it more nutritious and tasty, but it’s also responsible. Drain your cans of tuna and empty the tuna into a medium bowl. 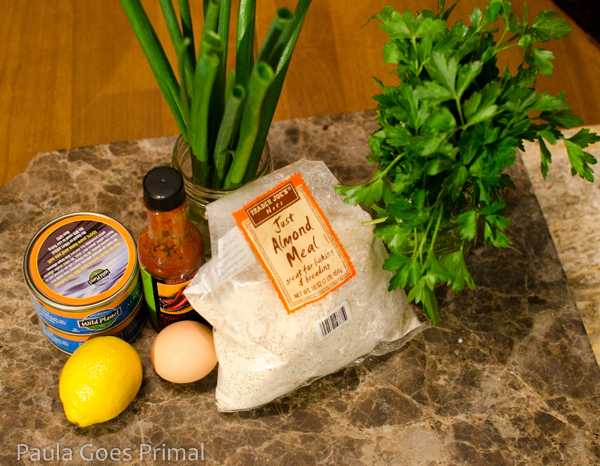 Add all of the ingredients except the egg, and stir well. Taste the mixture and add more lemon juice, salt, or pepper if needed. After tasting and adjusting, add the egg to the mixture. Form four patties with the mixture, wrap tightly, and place in the refrigerator for 30 minutes or as long as overnight. 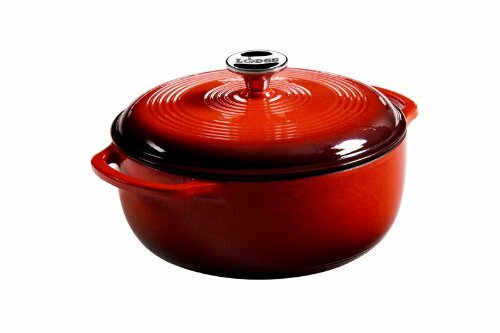 This helps the patties keep their form as you cook them. You can skip this step though and cook them immediately, but the patties will be a little more difficult to keep together — so be careful flipping them! Heat 1 tbsp ghee in an iron skillet on medium high. Cook the patties until they are browned on both sides and heated through, about 5-7 minutes per side. Serve immediately or cool completely and freeze for later! Tired of tuna salad? 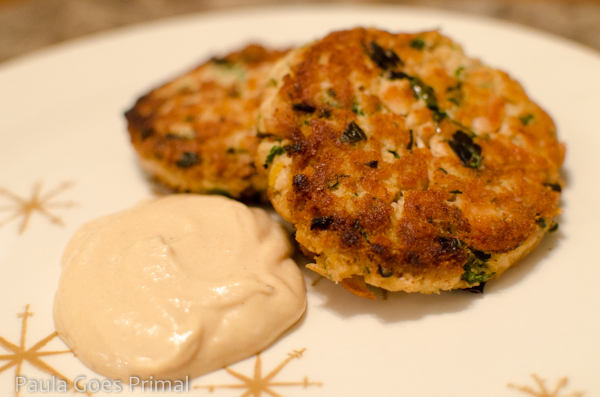 These deliciously easy tuna patties are a great alternative! And they're great for sticking in the freezer for a quick meal on busier days. 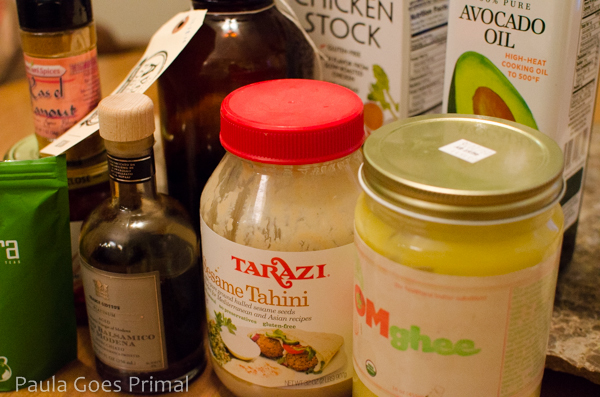 1/8 tsp Hot sauce or more to taste! Drain your cans of tuna and empty the tuna into a medium sized bowl. 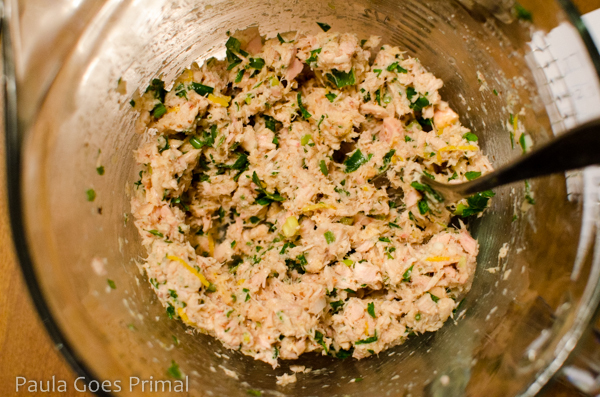 Add all of the remaining ingredients except for the egg to the bowl with the tuna and mix well. Taste the mixture and add more lemon juice, salt or pepper if desired. 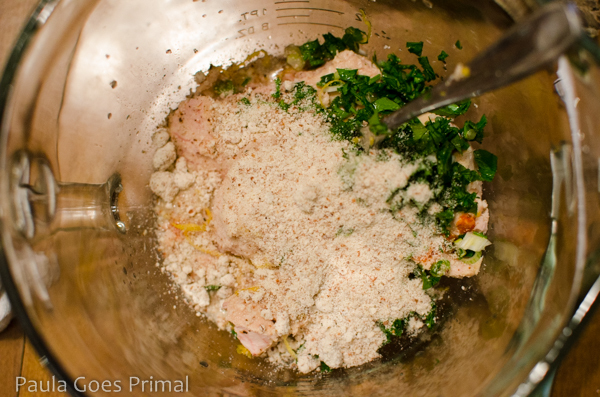 Add the egg, mix well, and form 4 patties. Wrap tightly and place in the refrigerator or 30 min - overnight. This will help the patties stick together. Skip this step if you want to eat them right away, but be careful when flipping them as they may be fragile! Heat 1 tbsp of ghee in an iron skillet on medium high. Cook the patties until they are browned on both sides, about 5-7 minutes per side. Serve immediately or cool completely and freeze.